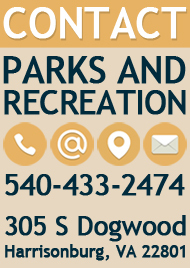 Harrisonburg Parks and Recreation has a waste wood utilization program, in partnership with interested agencies and organizations, to recover wood products from fallen or removed trees so that wood can be reused in creative ways and kept from going into landfills. These efforts are in collaboration with the Virginia Urban Wood Group and Department of Forestry. For more information visit the Virginia Urban Wood Group website. In light of climate change, improving economies, and the arrival of invasive insects such as the emerald ash borer, the number of trees removed from our urban forest landscape will substantially increase. Harrisonburg Parks and Recreation has been proactive in treating healthier ash trees by participating in the Department of Forestry's Cost Share Program that offers financial assistance to treat the ash trees temporarily. Harrisonburg has utilized the DOF Cost Share Program to treat 36 trees in 3 different Harrisonburg Parks. 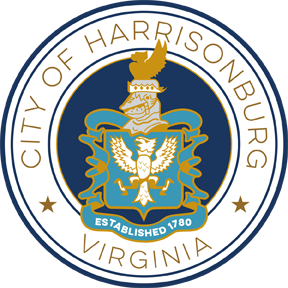 Because ash trees will all cease to exist due to the pest in the future, Harrisonburg has also been proactive in the removal of dead or hazardous dying ash trees and making the wood available to the public for purchase through the City's Public Surplus website. The City hopes that by making the wood available for purchase through the surplus website, the wood may be reused in creative ways, keeping the wood alive within the community and boosting the local economy. Virginia Department of Forestry "Trees with A Future"
Harrisonburg Downtown Renaissance "Local Ash Tree Finds New Home in HDR Office"
WHSV "Harrisonburg Downtown Renaissance gives ash trees new life"
Virginia Department of Forestry Story Map "Emerald Ash Borer Program"
The Breeze "Harrisonburg, VDOF begin ash borer treatment program"
For more information on Harrisonburg Parks and Recreation's urban wood utilization efforts contact Jeremy.Harold@HarrisonburgVA.gov. Department of Forestry Story Map "Emerald Ash Borer Program"